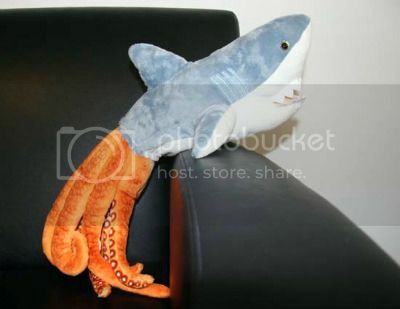 This hobbled-together, homemade Sharktopus toy enjoys approximately the same level of production values that went into SyFy’s Sharktopus made-for-TV movie. Yet it’s likely I’d appreciate and enjoy my time with the toy approximately 17 times as much. Via blastr, formerly Sci Fi Wire, who came in second place behind SyFy in the Lamest Re-Branding Effort Contest.